Mrs. Nelson has worked as a teacher, paraprofessional and substitute teacher for the Hinckley-Finlayson School district since 1992. Mrs. Nelson is a graduate of Hinckley High School. She received her B.S. degree in Elementary Education from the University of Wisconsin - Superior and is also a graduate of Columbia International University in Columbia, SC. Mrs. Nelson lives with her husband and four children on a farm in rural Hinckley. She enjoys reading, traveling and spending time with her family. She earned her Bachelor's Degree from Winona State University and her graduate degree from St. Thomas University. She lives in Hinckley with her husband, three kids and her dog. 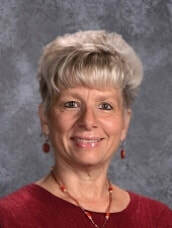 Mrs. Hopkins' loves to spend time with her family, read books and take walks with friends. She also likes to visit her family in Madison WI where she grew up. ​Ms. Schmidt has a Bachelor of Arts Degree in Psychology from Southwest Minnesota State University; a Bachelor of Science Degree in Elementary Education from St. Cloud State University; and a Master's Degree in Teaching and Learning from St. Mary's University. 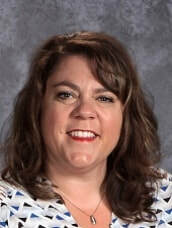 Recently Ms. Schmidt completed a K-12 Reading Certification Program from St. Mary’s University in Minneapolis.She has worked as a Title I paraprofessional, a teacher at a Children's World Learning Center, a substitute teacher at Tesseract Private School, and was employed at Edgerton Elementary School in Maplewood for three years. Most recently she spent thirteen years at HOPE Community Academy Charter School in St. Paul. Ms. Schmidt grew up in Cambridge, Minnesota and graduated from Cambridge High School in 1978. Ms. Schmidt currently resides on Fish Lake in the Harris, Minnesota area. She has a daughter named Lydia who is married, lives in Chaska, and works as a Chiropractor at her own clinic, Vaida Wellness Center in Wayzata. Ms. Schmidt enjoys watching sports, working out, ballroom dancing, traveling, skating, reading, and biking in her free time. During the summer she participates in several bike tours, such as the Tour de Tonka and the Tour de Hugo. Ms. Schmidt also enjoys spending quality time with family and friends.